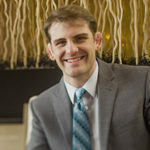 Justin: Welcome to the Dental Marketing Guy Show, I’m Justin, the dental marketing guy, and today we have a guest who – it’s a huge honor to interview; Joshua Scott, the founder of 8e8 dental marketing. And, really interesting, I got to ask you where that name came from, but yeah, maybe you could tell us the story behind why you started 8e8? We’ve got some huge actionable tips for our viewers on how you can improve your dental marketing from a pro, seasoned pro. This guy’s been in the game a long time, he’s going to tell us all about it. But first of all, how’re you Joshua? Joshua: good man, good. I’m glad we could connect, thanks for having me on the show too, you know, we’ve talked a lot in the last year or two, and been a fan, especially your, the little SEO videos you’re doing, those are a great idea for sure. Justin: thanks, thanks. Yeah, well, its humbling to have you follow me, you’ve obviously been in the game for a long time. Tell us a little bit about your background in the dental industry, and what happened that gave birth to 8e8? Joshua: yeah, you know, I’ve been in Dentistry – this is going on 15 years now, which seems crazy, but I spent about 11 or 12 of that with a national consulting practice management firm that worked in dentistry, there based here in Columbus, Ohio, and yeah, just kind of cut my teeth in dentistry with them and it was a really great experience, but what happened was, kind of towards the end of that – the owner there began to think about, or wanted to experiment with a marketing division within the company, and I was like ‘yeah, let’s do that!’. So kind of started going down that road, and eventually he just felt like it was going to be too distracting for him, he wanted to expand the company to a more national level, I actually completely agreed with it, but our conversation at the end of the day was ‘man, I love this, so where does that leave us?’ – and we worked together for a little while longer, but in the end things started growing and it was just too hard to do 2 things at once. So, here we are. Justin: excellent, so you were working in the dental industry, wasn’t it for a software company of some kind? Joshua: no, it was a practice management firm; they did consulting, and a lot of continuing education, things like that. Justin: okay, yeah. For some reason I though a software company, because you have a huge emphasis at 8e8 on being searchable, on being internet friendly, it’s a digital age, you know, we’ve talked a lot about direct mail in the past. What’s, I mean, basically, could you kind of run us through your philosophy at 8e8, obviously your ROI oriented, your branding oriented, but kind of what makes you a little bit different from the next dental marketing company? Joshua: yeah, I mean those are good question. I think, you know, I was just on a call here earlier this afternoon, and probably one of the things I tell people is; if your calling me to get a price on what our websites cost, we’re not the right company for you. We don’t do on off websites, and so our approach to marketing is a little bit different; I want to sit down and create a marketing plan, a marketing strategies for that practice, for that doctor, typically it’s for like a year, so it’s like A to next year, here’s what I would do, here’s what I think you need to spend. So it’s more comprehensive, its customer, because you just don’t know, I mean this practice I’m talking to – is actually buying from a 62 year old doctor who has never had a website, so is a website in the strategy? Yeah of course! But you know some practice, maybe they just built a website, so I’m going to come in and customize a strategy and go ‘okay, we just spent money and invested on a website, so what’s next? What do we need to do to optimize that? What are some ways we can take advantage of it?’ So, were definitely a more comprehensive company, and our goal is to work with our clients long term as more of a trusted advisor to the practice. Justin: excellent. Let’s talk about a little bit, and we can get a little more in depth about what your marketing philosophy is, I think you’ve got 7 good strategy points that you could share with us. But what are some quick tips? now I know you’re not about the quick fixes, because your about that holistic comprehensive approach, but what are some quick tips as far as you know; maybe how to take that first step? I think a lot of dentists watching this show would be like ‘okay that sounds great, I’d love to have a comprehensive marketing strategy, but that sounds like eating an elephant’ so how do we get them to take that first step? Joshua: first step into marketing or first step into working with a company like us, what are you getting at specifically? Justin: the first step as far as, ‘okay I’m a dentist, I know I need a marketing strategy, what I even do? What is the first step to even, should I just google something, should I contact you, what should I be thinking about?’ what are some quick tips as far as calibrating my mind to getting on the right trajectory? Joshua: yeah, you know what, that’s a really great question; think it probably depends on where you’re at in your practice and what stage, because I mean, the one thing that’s really great about dentistry is; a lot of people have boot strapped there practices, right? I mean startups, when they buy it, it’s like a startup or a new practice and so there’s a lot of kind of, I call it the DIY movement, in dentistry. So that might be the right approach for you and your marketing to begin with, but eventually what will happen is, you know the typical marketing budget is probably going to be 3-4-5%, I mean that’s roughly. So, if its a million dollar practice and you’re spending 30-50 dollars, you do that a few years in a row, man, you ought to get some advice on where that money is going;I mean it’s a big chunk. So bringing somebody like me in, working with a professional, they can advise you so at least you’re not wasting your money, and optimizing that investment. And then probably the 3rd step – so you go from DIY, to getting some professional advice on it, to probably the 3rd step is just working with a company working with a company that you can trust to handle the whole entire strategy and the pieces because now at this point, your moving – you need a trusted company advisor in that role that’s just handling the entire thing. And so, you know what I find with a lot of practices is that they’ve got 3-4-5-6 different marketing companies involved, like your direct mail company, your website company, sometimes even different companies are doing the SEO, or saying there doing the SEO and at the end of the day, your trying to manage 4 different companies, and I’m just like ‘who wants to do that?’. So, for me, those are probably the progressions, you just have to know where you’re at; do you need to do it yourself because your bootstrapping and on a budget? Or is this time to get a professional involved because you’re spending a decent amount of money? Justin: but when you’re dealing with these budgets, like your sayin, if you’re dealing with these budgets – 30-40-50 000 dollars a year for marketing, a lot of people just want to get a piece of the pie, you know? I feel like a lot of people are just kind of targeting dentists, because it’s like ‘oh there’s some money’, that’s definitely not the approach that you take, its sees like you’re really passionate about the dental industry, you’ve been in it for a long time. What would you say, you’ve got a show on YouTube as well, it’s the 8e8 dental marketing show; and what you do there is, you actually answer questions. What are some of the most frequently asked questions? I’m sure, maybe with your clients; they might be a little bit more advanced after you’ve consulted with them, but just one off questions coming off the internet, what are some of the most frequently asked questions? Joshua: you know that’s a great question. I think we get a lot that are on social media and Facebook, at just what the play is there, I think what’s interesting, Justin, you probably know this, and you’ve probably seen this, but; 2 years ago, I think in dentistry, there were still a lot of practices trying to figure out the ROI on Facebook, like what are we really supposed to be doing here, and I think 2 years ago a lot of practices were like ‘we do Facebook, but we don’t really get new patients from it’, and that’s completely changed within the last 6 months to a year. Whereas I’m sitting here saying to you now, a practice, if you’re not getting new patients on Facebook, you’re not using it right. That’s probably the easiest source of new patients that I’m seeing right now. And that’s just been in the last 2 years, and so social media, you think about this, where it’s come, it went from like, all the kids are doing it, to you should have a page, a business page, to well what’s even the ROI here, to now it’s probably the best marketing strategy out there. So I still get a lot of questions on social media, and still try and get a handle on it. Justin: so that’s probably the first thing, because a lot of people, for instance, on dental town, on the forums their talking about Facebook; you’ve got a few threads there where it’s like ‘hey, do Facebook ad’s work?’, and you’ve got one dentist whose just crushing it on Facebook, he’s like ‘ I just let all my clients from Facebook’. We had Dr Anissa Holms, from Jamaica, she’s got a pretty big Facebook following, she was on the program to talk about Facebook ads specifically, and I think she said 40+ patients – new patients, per month for her practice, and that was geometrically tracked to Facebook. So, there’s, I think your right about that, that’s where the crowd is, that’s where the psychology of the people on Facebook is their open to the idea of finding a dentist on Facebook, even though there not specifically searched, like ad-words, but their looking for a dentist. But, would you say that the approach for Facebook, what’s the approach that you take? I mean, when Anissa Holms was on, she was talking about just videos that show your humanity, don’t talk about clinical stuff. What’s the approach that you’ve seen success with on Facebook? Joshua: it’s interesting, you know, Anissa Holms I think she’s just, I mean gosh, I think there up to 50 000 followers, but I feel like every time I say it, it grows, so it could be like 63 now or something. Which is insane, but what that goes to show you is; so they focused on growing an audience, and there’s part of that now that’s just math, I mean if you have 60 000 seeing your Facebook page, you can post content, or just post content, boost it, because the audience is so big, she probably has to, I think she said something like $500 behind those boosted posts, but then your just, by math, your just getting a percentage of those that are coming into the practice. And so, that speaks to the audience and the value there, that she’s built, I think what we’re doing with a lot of practices is, dropping ads into the local market, `and so I think your right in that its difference, google ad-words is people searching – Facebook is placement, so it’s a little bit of a different approach, and I like google AdWords when people are searching, especially for services like dental implants, orthodontics, pediatric dentistry, that type of stuff, I think it works really well, Facebook your kind of just dropping into people’s feeds. So they see an ad and they go – especially if its compelling photography and imagery – they go ‘wow, what is this, this look like a great dental practice’ So, that’s typically been our approach to it. Justin: yeah, and you just bought an up a really good point. So, if we could take away something from this interview, if nothing else; you’ve got Facebook as a platform, and then you’ve got custom photography, maybe custom video – because know videos becoming more popular on, not only the internet at large, but on Facebook specifically, and I’m sure you’ve keep your finger to the pulse on how video is growing in Facebook. So, would you say, if our listeners where like, trying to do the do-it-yourself route, maybe there not quite ready to get that professional advise just yet, or they don’t feel like they should do that, so you say Facebook, if you do it right, which means custom photography, which means professional photography that puts you in a good light, would you say that’s a pretty good start as far as ‘don’t go with the clinical side, go with the human side’ go with the custom photography, and then Facebook as a good platform, would you say that’s a pretty good starting point? Or is this sort of one off tactic not the way you’d prefer to give advice? Joshua: no, no, I think it is, and I don’t, gosh I never kind giving advice, I think that’s a great strategy; and what we’ve seen is, because what Facebook is changing the game which is, you’ve literally have data, so we can run 6 different ad’s for the same practice and use stock photography for a few, use pictures of the building or the waiting room for a few, and then use pictures of the team, and you can run all those at once, so there all live; you’ll start to see data, and you’ll see what people click on, you can tell which one’s win the game. So the ones that always score the best are like the picture of the team with the doctor, like get them out in front of the building, get them with a wide angle lenses, beautiful sunny day, take that picture – man, that wins on Facebook, and so yeah, I think custom photography is huge, I don’t think saying it won’t work without it is true, but what would be interesting would be; run some stock photography, see how those score, and then switch out with custom photography, see how that scores, and I think you’ll see a big difference. Justin: I was talking to a social media consultant for medical the other day, and they were showing me ‘okay, here’s an example of a Facebook ad we ran, and it was a dud’ and it was stock photography, and then they were like ‘here’s an example that worked’ and it was just the most random stuff, like ‘oh, this patient is pregnant’ and ‘oh this dental assistant just got engaged’ and the sharing and the liking and the comments, it’s like insane, it’s like wow! What do you think, because dentists are really scientific, right and what would you say – I think dentists want to know, why? Why is it that it works? You know I’m kind of throwing this question at you without – nothings scripted here, but, what would you say, what is the psychology of the prospective dental patient on Facebook, why does that message resonate with them, this random stuff about engagements and babies and all that kind of stuff? Joshua: man, you know right now, I think it’s just, marketing, I think if were keeping it really simple at the end of the day, it’s that marketing about attention, and so it think you’ve just to know where attention is at, and to ignore the fact that people are – attention is right here now, is – I think your just missing the entire game. I think people just get caught up in that, I don’t understand Facebook – why is that working, why would that drive new patients? and I’m like that’s not even really the question to be asking, it’s all right here, like go to tomorrow, I’ll be at my sons baseball game and I’ll be in the bleachers with a dozen other parents and families and I will guarantee you, I’ll look around and 90% of eyes are going to be on the phone, especially between innings when there warming up, it’s like everybody’s on the phone. I mean stop at a traffic light, look at the other cars, everybody’s looking down, there taking a minute to text or something, it’s just where attention is. You know, 20-30 years ago people were sitting in front of the TV, and that’s were there attention was, and so you could literally interrupt them with ads, but this is where it’s at now, so whether or not you understand that, it think that’s just where it is, and respecting it. Justin: yeah. So basically who really cares why, its ROI focused, what you’re doing, your looking at; whereas the audience, and your going to them ‘we don’t really need to ask why, what we need to know is what actually working?’ You know, I like your channel, I’ve seen pretty much every episode, I think your approach to this is a little bit different to a lot of dental marketing companies out there, I think it’s, you know, you put yourself out there, you put your personality out there, and I think people feel like they know you, and when you do that, this is a good lesson for our viewer, for dentist, you know, you might not run your own YouTube show, you might not have your own podcast, but when you put yourself out there on your website, with custom photography, maybe even with video – I think this is a good lesson of how, the way that dentists buy, it’s the same way. We’re all human beings, so half the battle is getting people to know you like you and trust you; and so I think you provide a really good example of that, and so I’m sure your clients are doing the same. Joshua: yeah man, thanks. I think at the end of the day it becomes about the story of the practice and what the message is there. I don’t know if you – you may have read Simon Sinek’s book ‘start with why’, it’s very popular TED talk, it’s kind of the buzz and the hype and the – just continuing education world for sure, but really great message and its one that my team and I, we walked through about a year ago. And that’s our approach with dentistry too is; we get a call or an email and ‘hey I need help with marketing’, and our first question is why, why market? Why are you doing this? What’s the message, because somebody probably has 6 or 8 different choices on that street of dentist, so it’s like you know, what makes you unique and capturing that story is going to become a very important thing as we move forward. I think a story sort of cuts through the clutter, cuts through the noise – of everything else that’s out there, and so, yeah, that’s been our approach. Justin: excellent. Well where can the viewers find you if they want to learn more? Joshua: oh man, well they can start at JoshuaScott.com, that’s always a great spot, just a little overview of myself and our approach. You’ve mentioned a few times, we do the podcasts; it’s not quite every week, we’re trying to get to that – but usually about every other week that that’s 8e8 dental marketing show. If you just got to YouTube and type in 8e8, you should get it to come up, but that’s a fun little thin, I love answering questions and that’s been a ton of fun to do that for sure. Justin: excellent, well it’s been a huge honor to have you. I think the take away is; Facebook, custom photography -try that out. If you have any questions, feel free to reach out, JoshuaScott.com. If you find this on YouTube, fi you find this on dental town, the dental marketing guy blog, where ever you find this, feel free to reach out with questions. If you enjoyed this interview, thumbs up, and share it with someone that you think will benefit. And thank you so much, Joshua. Joshua: oh man, Justin, my pleasure, thanks for having me on, especially on your Friday afternoon there. Justin: yeah, cool. Well it’s been nice having you, and it just hope that the viewers feel like they got some benefit out of it, I think that we to a little bit of actionable items, and really good discussion about, you know, maybe chasing every flashy object – isn’t what it’s all about, maybe just that slow and steady pace – is really what dental marketing is really what it’s all about. So, I appreciate you bringing that angle. So, thanks for listening to the dental marketing guy show.